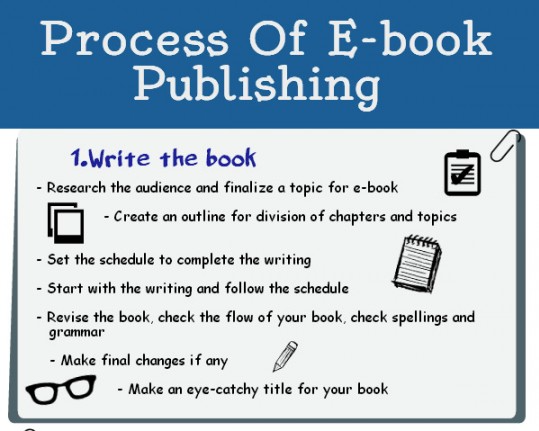 How to Become an eBook Publisher #Infographic - Your journey to a new career. Being your own boss, setting your own work pace, and daily using your own creative genius to build your livelihood are reasons to begin your career in e-publishing. Using the tools in this infographic will give you the framework necessary to jumpstart your future as an author. Writing the book requires you to set up a schedule to keep you on track, create an outline, and revise and edit your ideas. After you have written your book, it is important to design an attractive cover to capture the attention of future readers and format your text so that it is ‘easy on the eyes’ when your reader downloads it. Set your price, learn your publishing rights for an E-book, and decide where you want to sell it. Promotion is very important. Decide how to create a following and get feedback. E-publishing is an attractive career with great benefits. Taking the time to address the four areas explained in this infographic will ensure that you are pointed in a trajectory towards success.